Checking out galleries this weekend, I was surprised to see that Wendy White, who has a solo at Leo Koenig this month, is incorporating digital images in her new work. Best known for large, handmade spray-painted constructions that combine stylized text and (sometimes) athletic equipment, White’s new work features fabricated panels printed with digital images that she has manipulated in Photoshop. In a conversation with Arthur Peña at Curbs and Stoops, White said working with fabricated panels was difficult at first because making the supports by hand was an important part of her process. But…the new work is undeniably clean and intact–handsome, even. The digitally ghosted images, glossy surfaces, and professionally-fabricated supports seem too slick to wrestle with the urban history and emotional resonance that White says inform the series. Perhaps working with expensive fabricated materials creates a fear factor–White’s signature WTF attack strategy seems to have gone missing. Don’t skip her less nostalgic, more abstract pieces installed in the back room. “Wendy White | Pix Vää,” Leo Koenig, Inc., Chelsea, New York, NY. Through October 20, 2012. 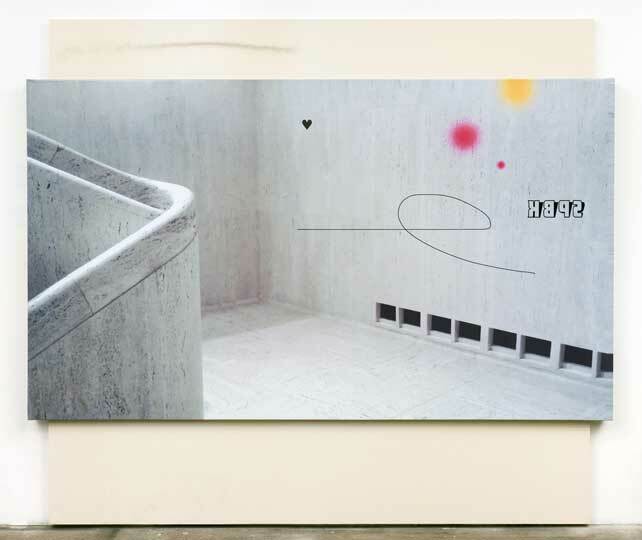 Image above: Wendy White, SPBK, 2012, acrylic on canvas, steel frame, rope, inkjet print on vinyl, 96 x 108 x 4 inches. 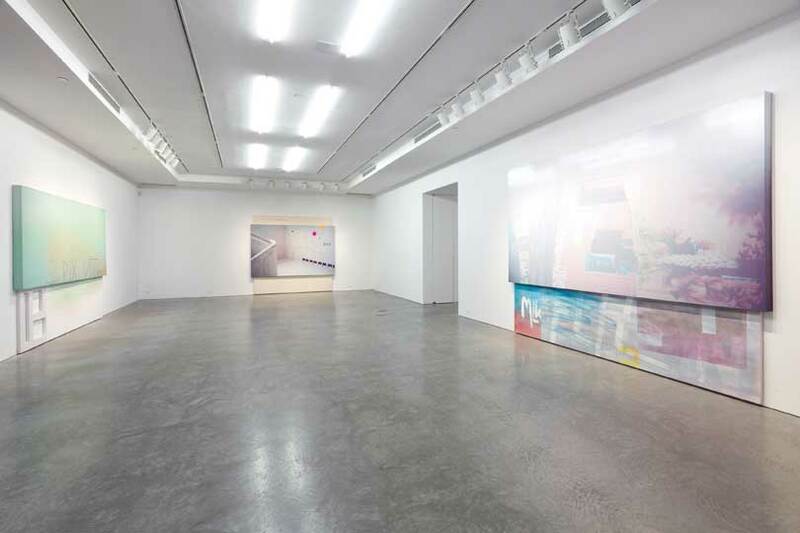 Wendy White, installation view at Leo Koenig.